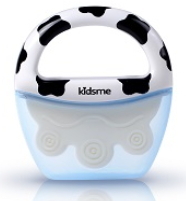 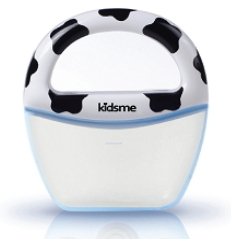 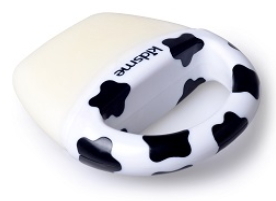 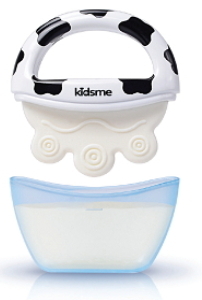 kidsme Icy Moo Moo Soother comforts your baby’s sore gums. 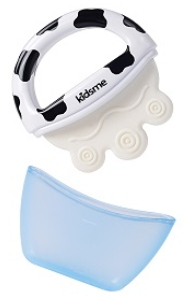 The medical-grade, textured silicone is safe, soft, and provides relief. 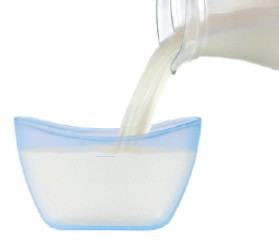 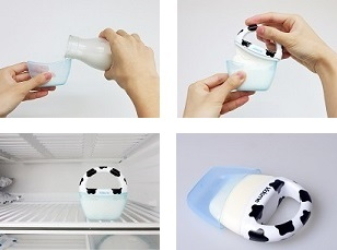 It also doubles as an ice pop when you fill and freeze milk or your baby’s favourite juice in the cap.